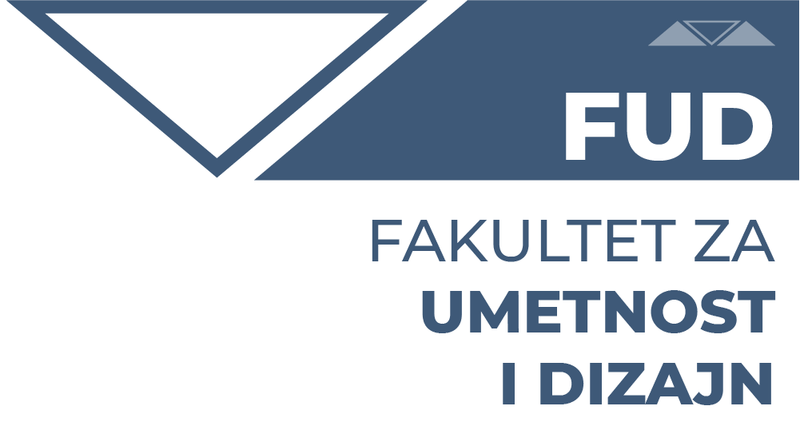 All modules and study programs of the Faculty of Arts and Design are accredited with the Ministry of Education of the Republic of Serbia. The volume of undergraduate academic studies is 240 ECTS and last four years / eight semesters. On completion of undergraduate academic studies students acquire the academic title of graduate applied artist. Candidates who have completed secondary four-year-education are eligible to apply to the first year of undergraduate academic studies. Candidates who have not completed secondary education are required to take the additional examination of Serbian Language and Literature, and History. All applicants who apply to complete for the enrollment in the first year of undergraduate academic studies take the Entry Exam and submit their works portfolio. Drawing (The exam includes the drawing of a figure according to the model, in the 70x50cm format, in the technique of coal, graphite pencil, dry pastel etc. Working time is four hours). This part of the exam brings the maximum of 15 points. Painting (The exam includes painting of still nature, in the 70x50cm format, in the tempera, gouache, watercolor technique. Working time is four hours). This part of the exam brings the maximum of 15 points. The test of History of art, general culture and information, (the test is of an open-closed type and consists of the selection of questions from the material given in advance for the preparation of this part of the exam). This part of the exam brings the maximum of 10 points. A conceptual design from the narrow area which the applicant is applying for (Working time is four hours). This part of the exam brings the maximum of 20 points. An interview with the panel for different modules, solving problems from the narrow area, evaluation of the submitted portfolio of works. This part of the exam brings the maximum of 20 points. Detailed enrollment conditions are defined by the Student Enrollment Booklet at the Faculty of Arts and Design. The annual tuition fee at the Faculty of Arts and Design is 2500 Euros in dinar counter value and can be paid in 10 monthly installments. A conceptual design of a poster or packaging. The technique of the student’s choice. An interview with the panel. Solving tasks: the conceptual design in the field of graphic design. An interview with the panel. Discussion on the work and the submitted portfolio. The evaluation of the submitted folder of ten pieces of work in the field of graphic design, in the 50x70cm format, the technique of the student’s choice. A conceptual design in the field of product design or vehicle design. The technique of the student’s choice. An interview with the panel. Solving tasks: the conceptual design in the field of industrial design. The evaluation of the submitted folder of ten pieces of work in the field of industrial design, in the 50x70cm format, the technique of the student’s choice. A conceptual design in the field of interior design. The technique of the student’s choice. An interview with the panel. Solving tasks: the test of understanding of space. The evaluation of the submitted folder of ten pieces of work in the field of interior design,. in the 50x70cm format, the technique of the student’s choice. A conceptual design of a modern male or female model. The technique of the student’s choice. An interview with the panel. Solving tasks: a conceptual design in the field of textile and fashion design. The evaluation of the submitted folder of ten pieces of work in the field of fashion design, in the 50x70cm format, the technique of the student’s choice. A conceptual design of a scene. The technique of the student’s choice. An interview with the panel. Solving tasks: designing a new composition for a scene from the given elements. The evaluation of the submitted folder of ten pieces of work in the field of scenography, in the 50x70cm format, the technique of the student’s choice. The person who has finished four-year-secondary education is entitled to enroll at the first year of undergraduate academic studies. The person who has finished four-year-secondary education is entitled to enroll at the first year of undergraduate academic studies at Faculty of Arts and Design, or the person who has not finished secondary education, on condition that they take and pass particular differential exams in Serbian language and History, from the four-year-secondary education curriculum. The order of the candidates for the enrollment in the first year of the studies is determined on the basis of the overall achievement in secondary education and the results achieved at the aptitude and abilities test. The ranking list is compiled according to the total number of points of each candidate according to the established criteria. The candidate can gain a maximum of 100 points. The Faculty determines the Temporary ranking list of all candidates with the total number of points earned by all the criteria established by these rules. The competition participant who considers that the order of candidates on the Temporary ranking list has not been determined in the manner prescribed by the Rulebook, may file a complaint to a Faculty Council within three days from the publication of the Temporary ranking list. The Faculty Council, within 24 hours of its receipt, resolves the case upon the appeal. After deciding upon the received complaints, the faculty determines and announces the Final ranking list of all candidates with the total number of points earned by all the criteria established by these rules. The final ranking list is the basis for the candidates’ enrollment. If the candidate who has gained the right to enroll upon the competition does not enroll within the stipulated deadline, the faculty will take the next candidate on the list instead, according to the Final ranking list, and within the deadline determined by the competition. electronic copy of the identity card or birth certificate. 5) proof of tuition payment. Early Enrollment for 2018/19 is OPEN! Apply today and get as much as 20% discount. Valid only until May 20, for a limited number of students.